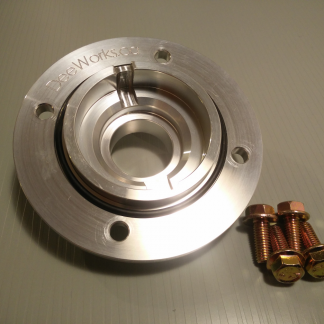 The DeeWorks T5 adapter let you install a Borg & Warner World Class behind any B21/B23/B230/B234 4 cylinders Volvo engine. T5 are much stronger than the M46 and M47 and they are quite affordable to rebuild, plus you can get different ratio if you ever desire. This conversion has been one of the most popular in the volvo enthusiast for several years, and it still is! 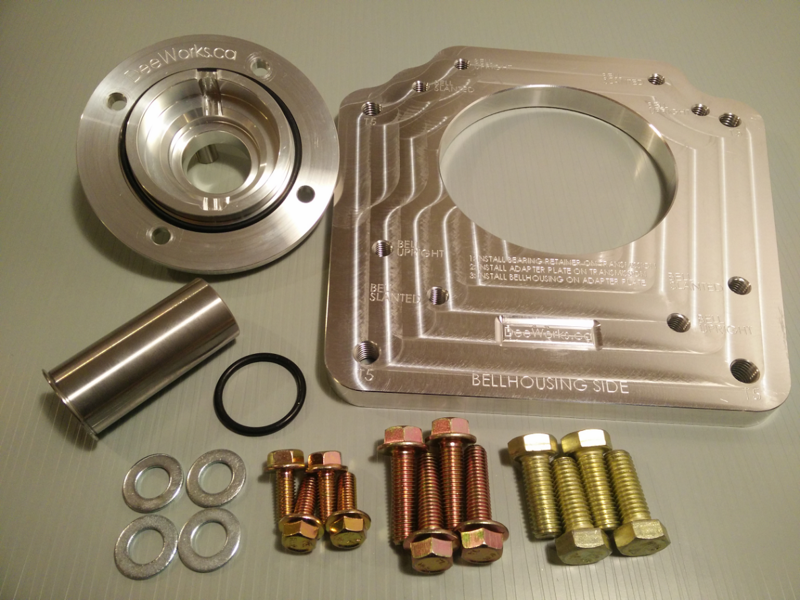 The adapter plate has 2 series of holes for the bellhousing, allowing you to put your engine upright or in the stock slanted position. 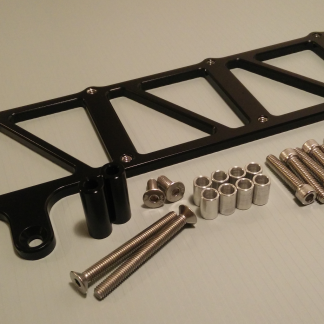 The kit is designed to use as much Volvo part as possible, that being said, you can reuse your stock clutch fork and throw out bearing. 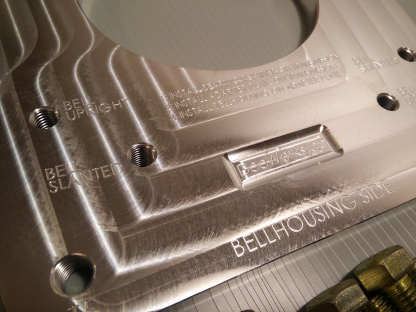 You need to have a M45/46/47 bellhousing but it won’t require any machining. 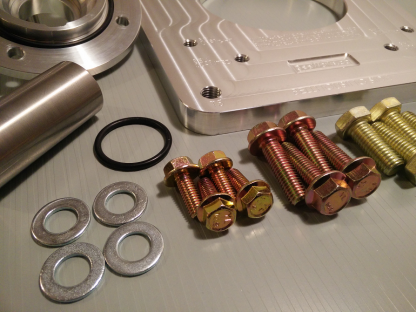 Since I’ve taken over on these adapter, the kit now comes with all the hardware required for the installation. 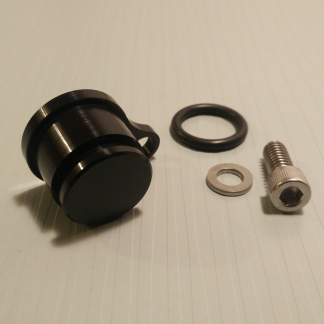 The bearing retainer now also has a face groove with an O’ring to seal the transmission. Each kit comes with very detailed printed instruction. 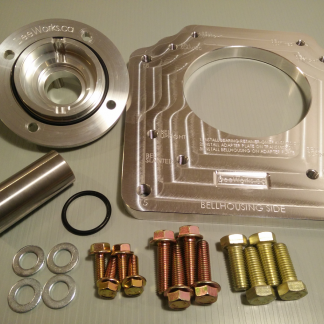 The adapter plate and the bearing retainer are CNC machined out of 6061-T6 aluminum with really tight tolerance. The throw out bearing sleeve is turned out of DOM steel. 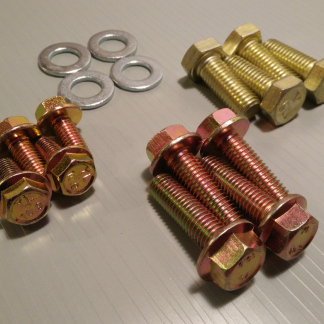 The included hardware have a 10.9 grade and are Zinc plated. 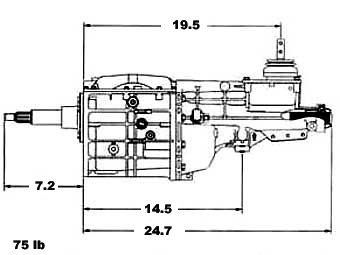 The M8 and M10 bolt are flanged. 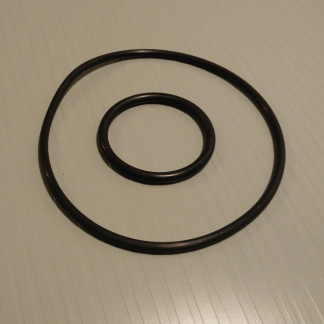 Replacement O’ring kit, Bearing Retainer kit and Hardware kit are also available. 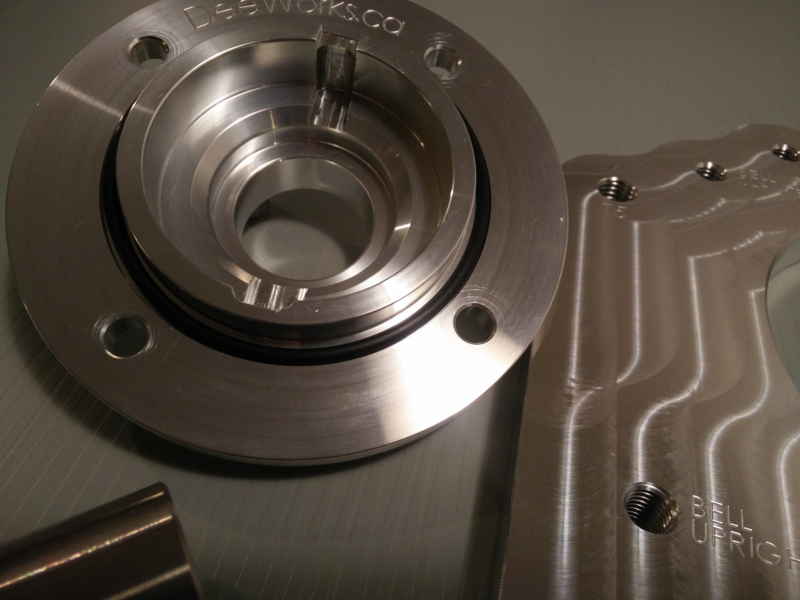 You can swap the input shaft from any world class boxes but you have to be careful about the bearing style. 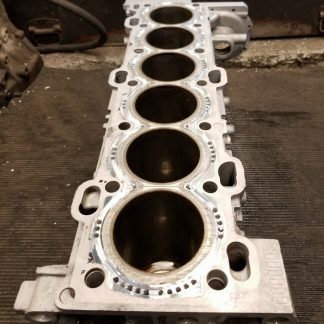 The shaft needed for the swap is 9.25″ long, common length of a mustang V8 input shaft. If changing your current input shaft, take a close attention to the gear set that you have. Pilot bearing needed is a Ford Mustang 5.0, it fits perfectly on the Volvo crank. You will need a Volvo Flywheel and Pressure Plate, but a ford splined clutch disc. 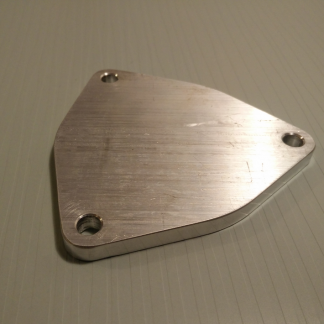 Josh @ Yoshifab.com stock “oem like” clutch disc and can help you put together a clutch kit that will handle whichever power your engine is making. He also sells a custom Crossmember to mount a T5 into a volvo 240, as well as a driveshaft adapter that allow you to use a Foxbody 1-piece drivehsaft without any modification. Beautiful kit. Easy to bolt up with great instructions. Amazing quality.